The MTS-8000 is the world’s most scalable test platform for next generation high speed network deployment (40G and 100G). It’s a multi-application platform with physical, optical and Transport / Ethernet testing capabilities. 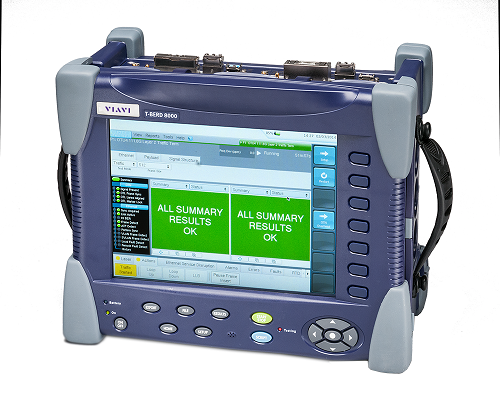 Based on the award winning VIAVI MTS-8000 platform covering installation, maintenance and troubleshooting testing needs of any optical networks, the MTS-8000 V2 meets next generation network challenges with additional fiber inspection & test, ROADM and 40G / 100G test capabilities.